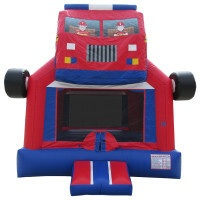 Sound the alarm! 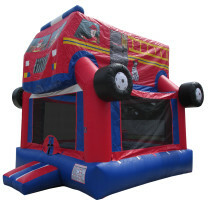 This party is on fire with our Fire Truck inflatable rental. 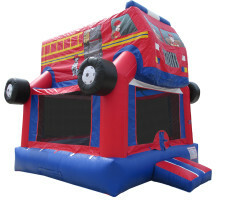 Everyone is sure to love the bright red fire truck perched atop the bounce house–complete with firefighters and Dalmatian!